Are you looking for stylish and durable roman blinds.Australian window covering offer best roman blinds at an affordable price.Australian window covering wide range of quality Roman Blinds with custom fabrics, colors. 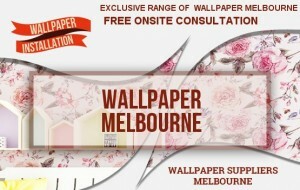 Australian window covering service Roman Blinds in Melbourne,Australia. Roman Blinds are a type of window blinds used to block out the sun. Roman Blinds have lavish, draped folds, and so they are ideal for more ornate, heritage interiors but can also be used to create a feature within a simpler setting. When opened the Romans stack up evenly, however when covering the full window height, they are smooth without overlapping. Roman blinds can be designed with a blackout lining on the back to fully block out sunlight. Roman Blinds are available in a wide range like casual romans, soft furnishing romans or resort style romans with no battens. It offers great flexibility in light control. Sheer Roman Blinds provide glare reduction and protection from harmful UV, while total block out fabrics provide complete darkness. Roman Blinds are designed to ensure each folding segment is symmetric and evenly sized. Roman blinds are both stylish and durable and is easy to operate. An effective and cost efficient insulation against heat, cold and sound. State of art motorized roman blinds adds total light and shade control at the touch of a button. AWC offers wide range of Roman Blinds spotlighting the quality colors, fabrics and textures. 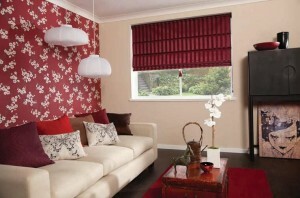 We provide Roman Blind services in Melbourne city. Why Choose Australian Window Covering?